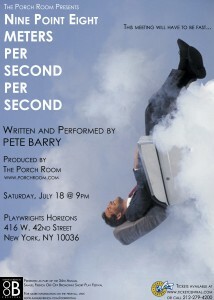 Performed at Playwrights Horizon in New York City. July 15, 18 & 19, 2009. 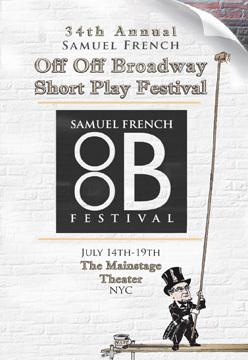 The Porch Room’s third year of participating in the Sam French Festival was also its most successful, with both of our entries moving on to the finals! Of those two, Drop was selected for publication! The program included Nine Point Eight Meters Per Second Per Second and Drop. View photos from “Drop” as it premiered at Playwrights Horizon and the OOB Fest! What comes up must come down. 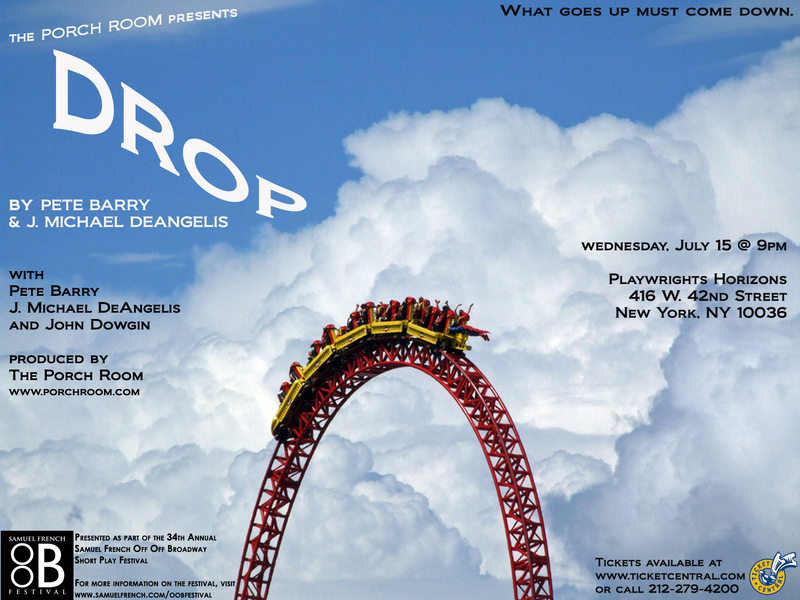 Read an interview with J. Michael DeAngelis about DROP at the 40 Days to 40 Plays Blog! This meeting will have to be fast. Read an interview with Pete Barry about NINE POINT EIGHT METERS PER SECOND PER SECOND at the 40 Days to 40 Plays Blog!